Kollu has many health benefits and used by our elders a lot in cuisine. Now our modern life we avoid such healthy legumes in cooking. Kollu has many health benefits as i have mentioned earlier in Kollu Sundal Post. Incorporate this humble legume to your diet and stay healthy. Many tasty preparations we can make out of this legume. One such recipe is Kollu Rasam. 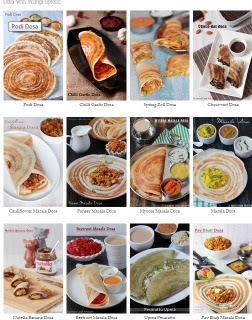 I donot find any taste difference from normal differecne other than the colour. You too make this rasam and give the feed back. Hope you too like this rasam. Soak the kollu in water for overnight or 6 hours. Add garlic, pepper and jeera in a blender and pulse till you get a coarse powder. Pressure cook the kollu with a cup of water and salt on medium flame for 3 whistles. Heat oil in a pan and splutter the mustard seeds and fenugreek seeds. Add the curry leaves and asafetida in the hot oil. Add the ground powder, turmeric powder and crushed tomato and saute in the oil for ten to fifteen seconds. Add the tamarind water and two tablespoon of cooked mashed kollu (remaining kollu make Kollu sundal out of it), kollu water and salt. Cook the rasam on low flame till the frothy layer starts to form on top of rasam and switch off the gas. Donot allow the rasam to boil. Add the coriander leaves. 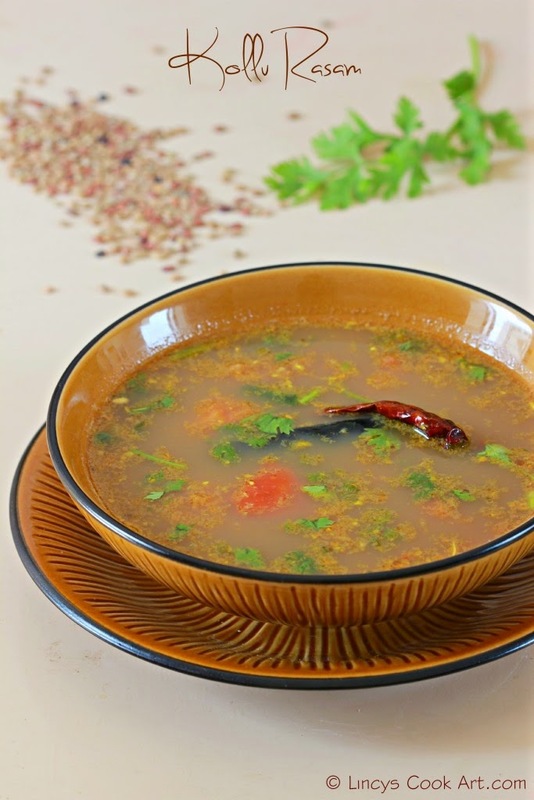 An easy recipe to make, a healthy and delicious rasam. Lipsmacking rasam, one of my comforting food.